With the conclusion of World Championships and the start of NCAA preseason exhibitions, it's almost time for the collegiate gymnastics season to begin. FloGymnastics will be providing coverage of several NCAA meets, including the NCAA meets at Elevate the Stage Toledo. Competing at Elevate the Stage gives collegiate teams the valuable opportunity to compete on podium, the same raised setup used at NCAA Championships. Toledo's collegiate meet will feature all 10 Big Ten women's gymnastics teams in the conference's annual Big Five meets, where the teams compete to determine which session of the Big Ten Championships they will compete in. With the Big Ten being the largest gymnastics conference, there will be lots of talent to watch at the Toledo NCAA meets. Douglas is a junior but missed the entire 2018 season due to a knee injury. Before missing the 2018 season where she was named a Big Ten Gymnast to Watch, Douglas was an excellent competitor for the Spartans on beam and floor with career highs of 9.900 and 9.850, respectively. Being a former Canadian elite, she's no stranger to competing on podium, as she's competed at the 2013 Pan American Championships and a few International Gymnix and Elite Gym Massilia meets. With her recovered from injury and prior experience on podium, Douglas is capable of putting together great routines for the Spartans. Otto (née Horth) is another Big Ten gymnast who will be returning to competition after an injury. Back for a rare sixth year, the Illini redshirt senior has been a stellar and reliable competitor for Illinois in the past. Her event career highs are all 9.875 or higher, with her best event being bars. Thanks to her excellent form and long lines, she shines on bars and has scored a near-perfect 9.975 twice. However, she's been fantastic on all four events and has been seen training all four on social media, so she could be a lineup staple for the Illini across the board. 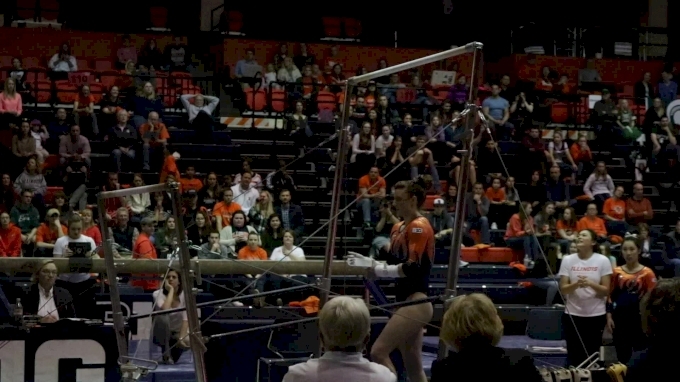 She's the only Illini gymnast who has competed at NCAA Championships before, qualifying with her team in 2014 and as an individual for all-around in 2015, so she has experience on the podium. In addition, she competed on podium during her J.O. career as a two-time Nastia Liukin Cup qualifier. With a wealth of competitive collegiate experience on and off podium combined with her ability to score well on all four events, Otto could make her mark in Toledo. The former Canadian senior national team member has been a great all-arounder for Maryland. She has a career high of 9.775 on vault, 9.850 on bars and floor, and 9.825 on beam. In 2017, she qualified to the NCAA Regional in Gainesville as an individual all-around competitor In 2018, she emerged as one of the Terps' top all-around gymnasts, competing on all four apparatus in every meet last season. Peterman competed on podium several times before she came to Maryland. She helped Canada to a second place finish at the 2016 Pacific Rim Championships, where she also won silver in the all-around. In 2015, she was an alternate for the Canadian World Championships team and competed at International Gymnix for years. As a reliable all-around gymnast for the Terps who's familiar with podium, Elevate the Stage Toledo should be no problem for her. This New Zealand native is a rising star for the Hawkeyes, competing all-around in every meet for them last season. On vault, beam, and floor, Sullivan has a career high of 9.875, and on bars, she's scored a near-perfect 9.925. Last season, she got a career-high 39.300 in the all-around twice. As she enters her junior season, she brings her experience not only as a collegiate gymnast but a former elite who's no stranger to competing on podium. In 2016, she competed at the Pacific Rim Championships, advancing to the beam final and finishing 10th in the all-around, prior to competing at the Rio 2016 Olympics. She went to the 2014 and 2015 World Championships and has competed at a few World Cup meets as well. In 2014, Sullivan also competed at the Commonwealth Games, qualifying to the beam and all-around finals. Though she's only a freshman and has yet to compete collegiately, Wojcik had a stellar club career. She's a three-time Nastia Liukin Cup qualifier ― so competing on podium won't be new for her, a five-time J.O. Nationals qualifier, a five-time Region 7 All-Star, and two-time J.O. National Team member. Her club career ended with a J.O. National title in the all-around but also has J.O. 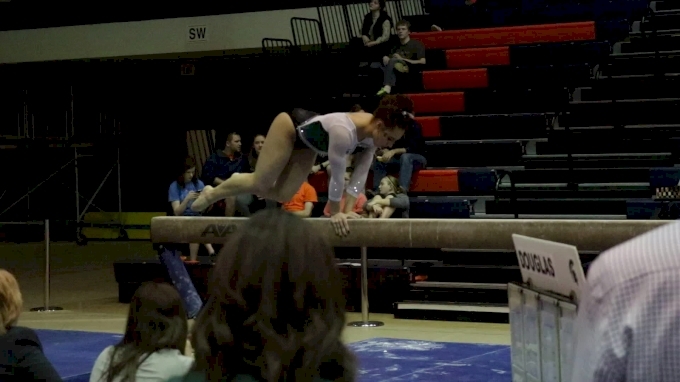 titles on vault, beam, and floor. In addition, she never lost a state all-around title while she was in high school. As a member of the Region 7 All-Star team, Wojcik even got the opportunity to compete in international meets in Peru, Germany, and England. After having such a decorated J.O. career, Wojcik should be a great competitor for the Wolverines, and her experience on podium is just a plus.